Point2 Homes gives you far more than a simple list of houses for sale. Get instant access to a lot of relevant information about Port Credit, Mississauga, ON real estate, including property descriptions, virtual tours, maps and photos. The search results pages also have a wealth of information on Port Credit, Mississauga, ON, if you scroll all the way down. 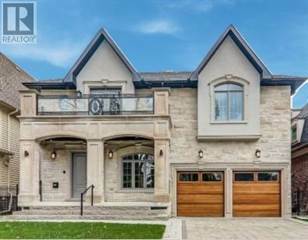 There are 50 houses for sale in Port Credit, Mississauga, ON. 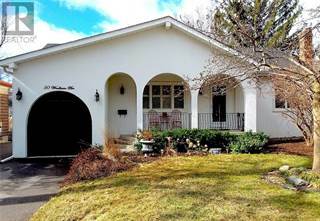 Searching homes for sale in Port Credit, Mississauga, ON has never been more convenient. 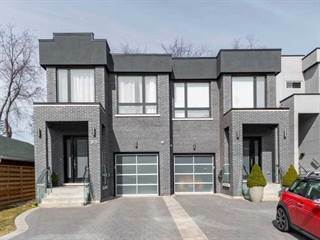 With Point2 Homes, you can easily browse through Port Credit, Mississauga, ON single family homes for sale, townhomes, condos and commercial properties, and quickly get a general perspective of the real estate prices. Also, you’ll never miss a bargain if you filter listings based on house price drops in the past six months. Use the map view to find Port Credit, Mississauga, ON homes and apartments for sale, based on amenities or city features that you may want close by. You can close in on a specific neighbourhood or area by simply drawing around them with the polygon or radius tools. Stay informed about the latest entries on the real estate market by saving your searches. This way, you get new listings in your inbox, daily or every week, based on your preferences. If you’d like to get in touch with a professional, agents are displayed next to their listings, and they’re easy to contact through the online forms. If you want more options, you can click the Tools tab and Find an Agent, and you’ll get a list of helpful and knowledgeable real estate agents in Port Credit, Mississauga, ON. Visit the Point2 Homes blog and you can find up to date expert advice on many markets throughout Canada, regular market reports, neighbourhood scoops in cities throughout the provinces, real estate deals and useful recommendations. Port Credit has a rich history, being located at an historic trading site at the Credit River and Lake Ontario. The harbour and marina areas are used by many water-loving residents, with private boats cruising around and docking in the area. Port Credit is a family-friendly neighbourhood, with numerous recreational activities and outdoor space to explore. Arts and culture are celebrated in the area, as can be seen by the many festivals, Music Walk of Fame, local theatre, and music stores and schools found throughout the neighbourhood. Port Credit is located in the eastern part of Mississauga, along the shore of Lake Ontario.It extends from Queen Street E in the west to Lake Ontario in the east, and from Seneca Avenue in the north toRaintree Lane in the south.The neighbourhood has a variety of amenities such as shopping, schools, recreational facilities, and restaurants. Its proximity to Lake Ontario and Credit River make watersports and boating common activities in the area. The Mississauga Music Walk of Fame was established in 2012 and features granite plaques that are installed in the Memorial Park walking path. Each year, four musicians from Mississauga have their names engraved on the plaques. The Music Walk of Fame is located in Port Credit because the neighbourhood is known as the musical centre of Mississauga. Previous inductees into the Music Walk of Fame include Ronnie Hawkins (rock musician), Oscar Peterson (jazz pianist), Rik Emmett (guitarist), Tommy Hunter (country musician), Billy Talent (pop punk band), Rob Wells (producer), and Jeff Healey (guitarist/vocalist). The Port Credit Harbourside Playhouse is a professional theatre company that operates year-round. The playhouse hosts performances for adults and children, and provides affordable entertainment for the whole family. Breakwater Restaurant at the Waterside Inn on Stavebank Road S offers fine dining in an elegant venue. High-quality ingredients and a sophisticated atmosphere have made this an award-winning establishment. Spice Lounge and Tapas on Lakeshore Road E serves up dishes influenced by the Mediterranean coast of Spain and offers patrons a sleek and stylish environment. The venue features live music, an open mic night, and a house DJ on various nights of the week. For those with more specific tastes, Raw Aura Restaurant and Catering on Lakeshore Road E provides raw, organic, local, vegan, and gluten-free options in a pleasant, rustic space. Healthy fare is the focus, and everything on the menu is made from scratch. The Brogue Irish Pub on Lakeshore Road E is a lively and friendly place to grab a pint and enjoy a bit of pub grub. The venue hosts trivia nights and other events, and is also available to book for gatherings. Port Credit offers mostly apartment buildings, as well as single-family homes and some other dwelling types. The average price for single-detached homes in the area is $237,953, which is much lowerthan the average price for single-detached homes in Ontario overall ($518,000). The population of Port Credit is 10,260, and this has remained fairly steady over the past 15 years. Families make up 27% of the population here, 13% are couples, and 60% are single. The average annual income is $57,948, which is similar to the average annual income in the province as a whole, and 60% of residents are university or college educated. As part of Mississauga, Port Credit can sometimes experience air pollution from heavy traffic and industry sources in the city. Noise can be an issue in the residential areas closest to the main highways and commercial roads in the neighbourhood. Port Credit’s crime rate has been fairly stable over the past several years. The most common types of crime in the neighbourhood are theft, breaking and entering, mischief, assault, and traffic incidents. Private and public primary and secondary schools in Port Credit include Port Credit Secondary School, Forest Avenue Public School, St. James Elementary School, Mentor College, Mineola Public School, Janet I. McDougald Public School, Tecumseh Public School, St. Luke Catholic Elementary School, and Kenollie Public School. Post-secondary options can be found just outside of the neighbourhood and include Bronte College; Sheridan College; Oxford College of Arts, Business, and Technology; Evergreen College; Academy of Learning College; Stanford College; Humber College; Appleby College; University of Toronto Mississauga; Ryerson University; and York University. Port Credit has a number of bus routes running through the area, including routes 8, 14, 14A, 19, 23, and 103. These bus routes connect passengers to other areas of Mississauga, including the city’s downtown. Residents can also access the GO Train service to Toronto from the Port Credit GO Station. Parks in Port Credit include Shawnmarr Park, which features treed areas and greenspace, a basketball court, and a playground; J. C. Saddington Park, located at the mouth of the Credit River, with walking trails, picnic areas, a playground, barbeques, a pond, and fishing opportunities; J. J. Plaus Park, with walking paths, benches, water views, birdwatching, treed areas, and greenspace; Memorial Park, which has a multi-use ramp park, a playground, a walking trail, a gazebo, a basketball court, picnic areas, and areas where two major community events take place each year (the Waterfront Festival and the Port Credit Southside Shuffle); and St. Lawrence Park, featuring walking paths, a gazebo, beach area, floral displays, and birdwatching opportunities. The Port Credit Arena is the city’s oldest surviving public arena and offers ice skating lessons, hockey lessons, public skating times, lacrosse (summer), ball hockey, and roller blading. It is home to numerous community hockey associations and skating clubs. The Lions Club of Credit Valley Outdoor Pool is open seasonally and offers public swim times, aquafit classes, swimming classes, a kids’ area, and a large patio area to rest and soak up the sun. The Port Credit Library offers more than just library services. It hosts programs for children, teens, and adults, including book clubs, computer lessons, writers’ groups, and educational events. Read more about living in Mississauga, ON.